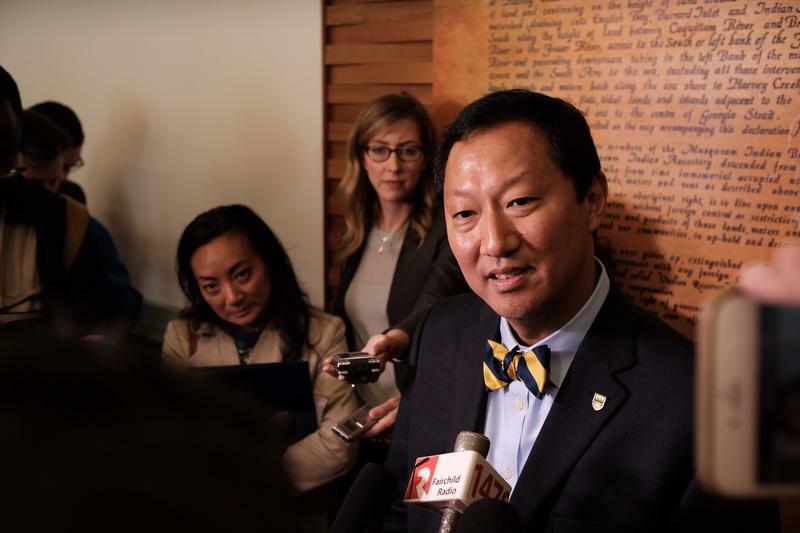 It was officially announced today that UBC’s new president Santa Ono, who began his term as president and vice-chancellor on August 15, has appointed new people to three positions within the President’s Office. These appointments include the position of senior advisor to the president. This role was given to Dr. Emma Cunliffe, an associate professor in the Peter A. Allard School of Law. The senior advisor to the president is responsible for advising Ono on matters relating to collaboration with key stakeholders and strategic planning, according to a broadcast announcement sent out by the university. According to this statement, Cunliffe was chosen because she “brings experience using interdisciplinary methods to research complex questions, and a track record of fostering an inclusive and mutually respectful institutional environment.” She began her work for Ono on November 14. The other two positions appointed include the manager of the communications department of the university and the executive assistant to the president. The manager of the communications department role went to Terry Lavender, who will “oversee communications within the Office of the President in order to communicate UBC’s vision to internal and external stakeholders” in this new role, according to the announcement. Lavender has previous experience working within communications at several universities. The role of executive assistant to the president has been given to Frances Verzosa, who previously worked in the office of the chief information officer in project coordinator and executive coordinator roles, and will begin her new job on November 18. The President’s Office reportedly spent several weeks looking for the people to fill these roles.